Since the beginning of the 20th century, the film industry has confronted, challenged, and explored various social issues through its films. Social issue films are an excellent resource for teaching social issues. Teachers will find this book to be a valuable resource for teaching social issues. This book includes a discussion on teaching social issues, teaching with film, and how social issue films can be utilized to enhance the curriculum. This volume offers teachers an effective means for teaching social issues to today's digital and media savvy students. 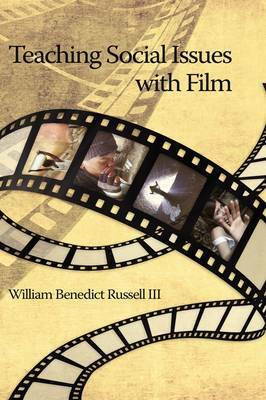 Furthermore, this volume details how film can be used to teach social issues, discusses relevant legal issues surrounding the use of film in the classroom, and details two separate models for teaching social issues with film. The heart of the book includes a detailed filmography of 180 films that pertain to 30 social issues. Each social issue includes a definition/explanation of the social issue and details six films. Each film detailed includes complete bibliographic information and a synopsis. This volume is clearly organized and expertly written for educators and is beneficial to librarians and teachers at the secondary and college level, particularly in social studies, sociology, history, political science, literature, film studies, and other social sciences.